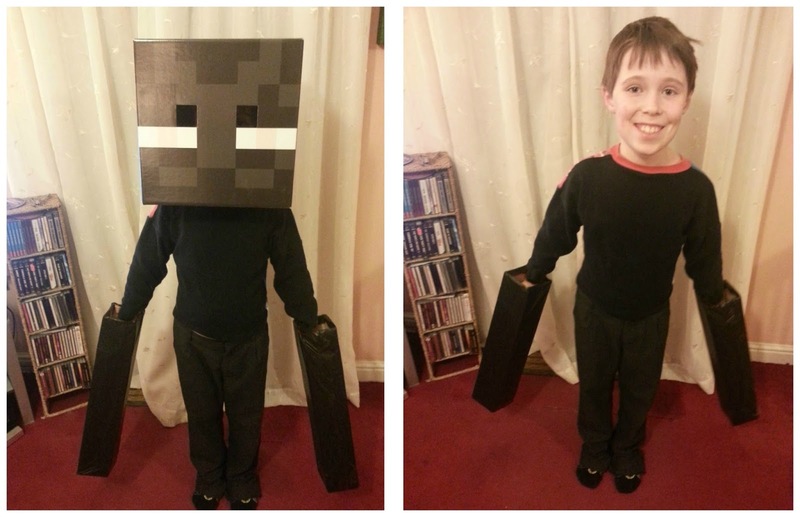 This post was originally published for World Book Day, but I thought it might make a cool last minute Halloween costume for a Minecraft lover. 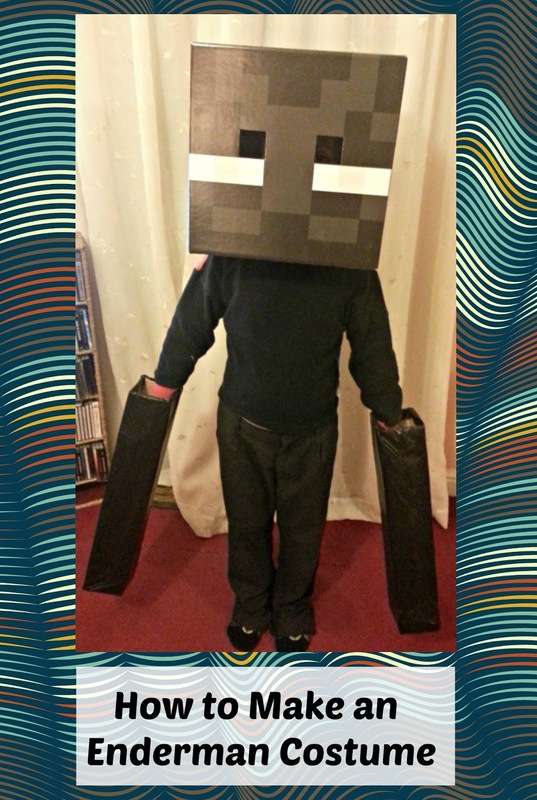 Minecraft continues to be very popular with children of all ages and is equally appreciated by boys and girls, so this easy costume could be the answer to your costume concerns. 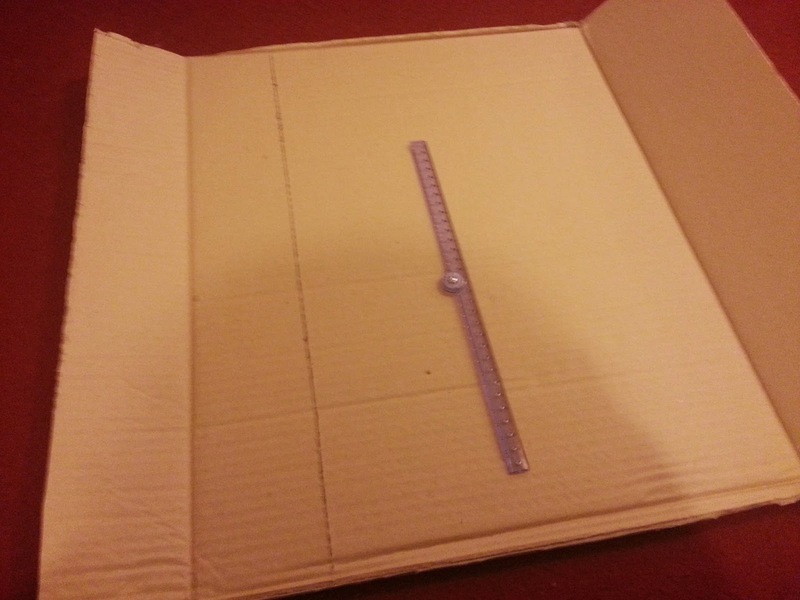 All you need is a good size cardboard box, some black binliners and black clothes for them to wear. 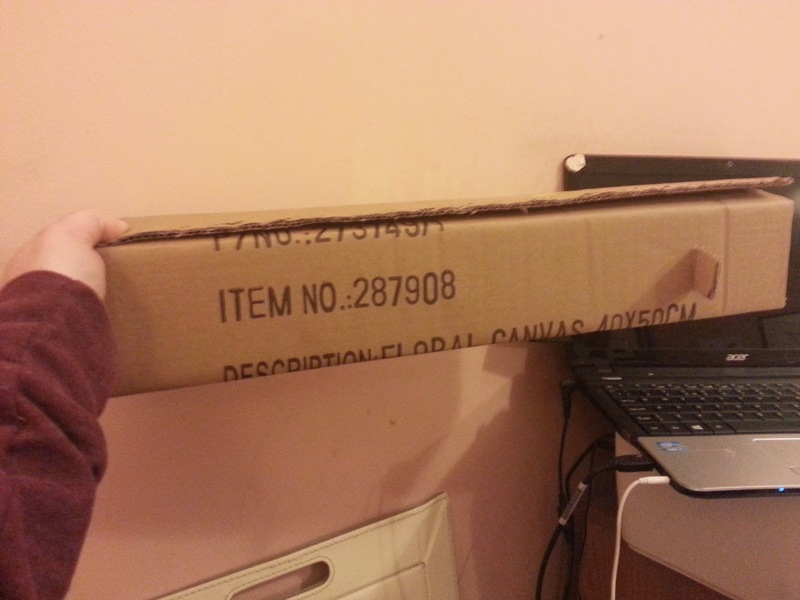 You will also need the head, but if you can't buy an official Enderman head, you can always paint a cardboard box. 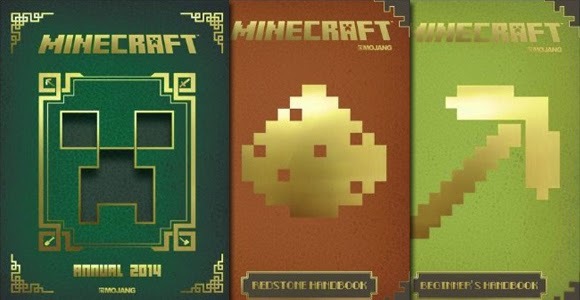 Also, before you say it, yes Minecraft does count as a book! Ok, maybe not in the traditional sense, but L is happy and it's meant to be fun, so there! Firstly, I will admit I cheated a little bit. Which won't surprise you in the least, so I might as well get it out there straight away. 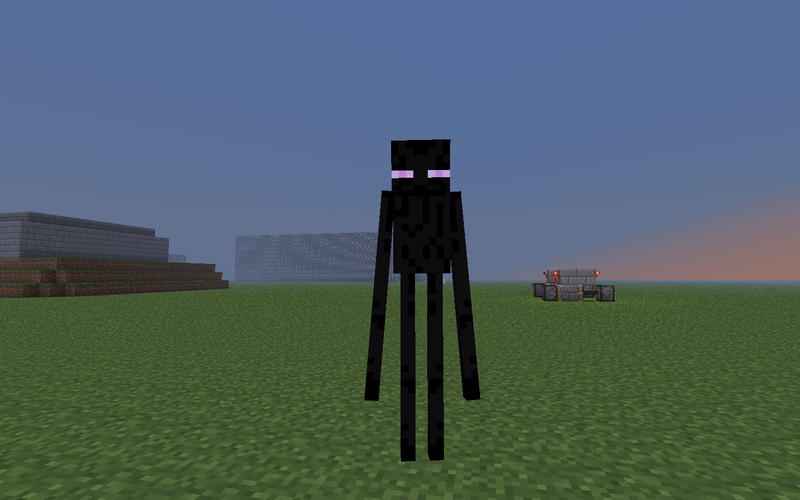 I did buy the Enderman head. That's not so bad, right? I still made the body. Well the arms. anyway. We got ours in B&M Bargains, but as it's a bit of a Delboy shop, and never seems to have the same stock twice, you can also get them in Argos and Amazon, as shown in the link. All you need to go with it, is a black top and trousers and some freakishly long arms. Here's how we made the arms. Next, you will need a handle on the inside, so that when you hold the handle, it looks like the arms are attached, but they can also be easily put down for other important school stuff, like lunch. 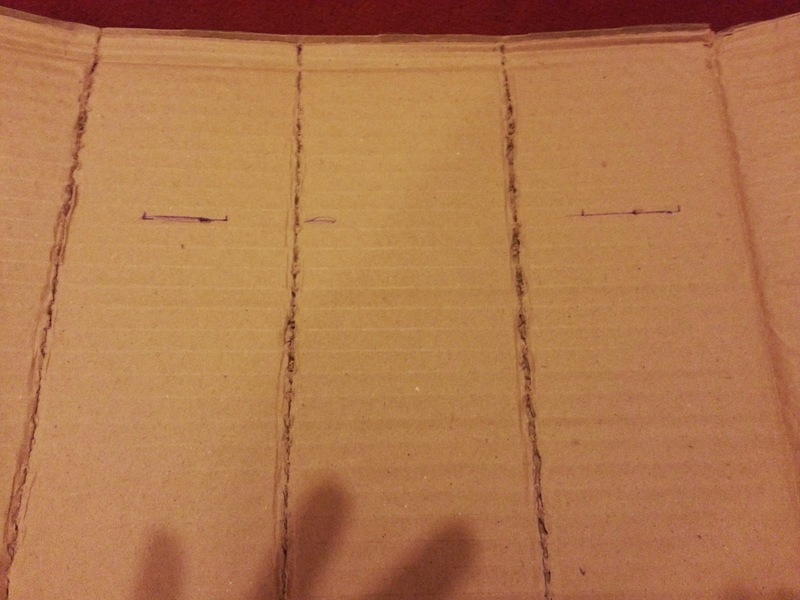 To make the handle, cut two small slits on opposite sides of what will be your Ender-arm. 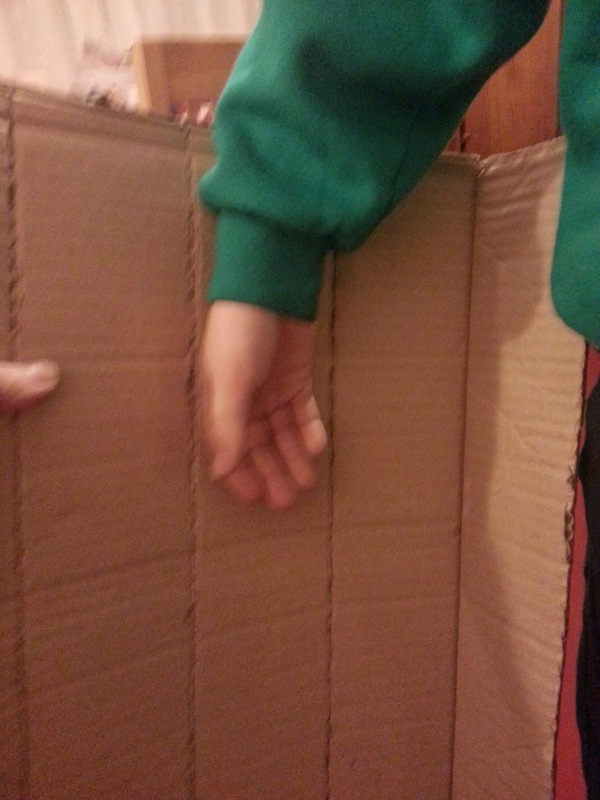 Then, assemble your arm, as shown above, and feed a strip of cardboard through the slits and secure either side with tape. All that is left to do now is tape up the sides of your arm and either paint it or, if you have no black paint, like us, giftwrap it with a black refuse sack. Put your head on and there you have it, one cheap and easy costume! Thank you, I was surprised how easy it was! Its such a great idea, so easy to make, I love it. Liam loves Endermann so much. If the boys were not doing Horrid Henry and Prefect Peter I would do this. Definitely next year, I'm sure they will be Minecraft fans then. Where did you get the head from?